What comes to mind when our international friends think of Singapore? Marina Bay Sands, the Esplanade, and Orchard Rd may come to mind. But Singapore offers way more than an ultra-modern city experience. There’s a different side of Singapore – one that’s full of history, culture, and heritage! In this special episode of The Wanderlist, we’re going out of the studio, and into the heart of Singapore! 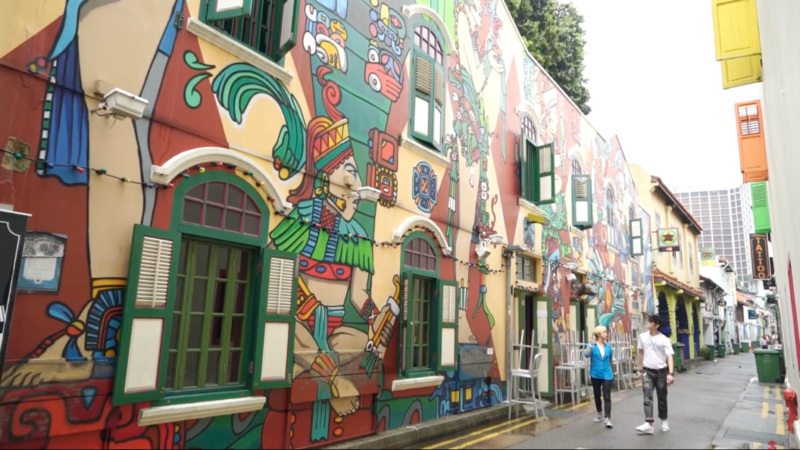 Along with our guest, singer-songwriter Jacky Chew, host Ivy Tan takes us exploring in Kampong Glam, a wonderful district filled with heritage, fun, and surprises! 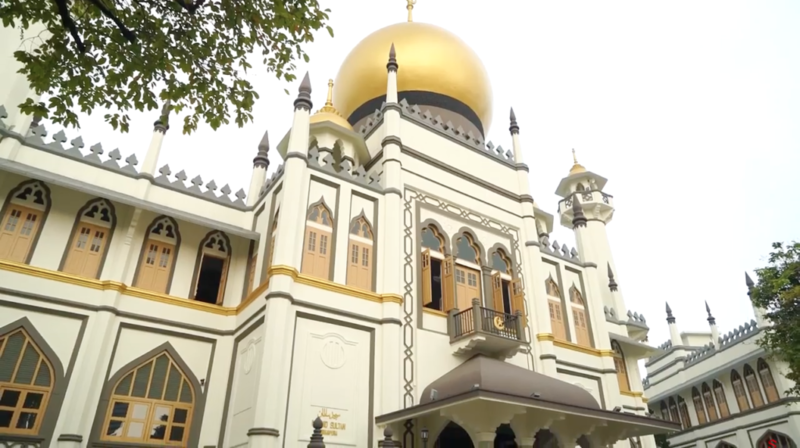 The most distinct landmark of the district is none other than Masjid Sultan, or Sultan Mosque. The mosque provides guided tours, where you can learn about its rich history! Beautiful lamps at a traditional shop, along Arab St. 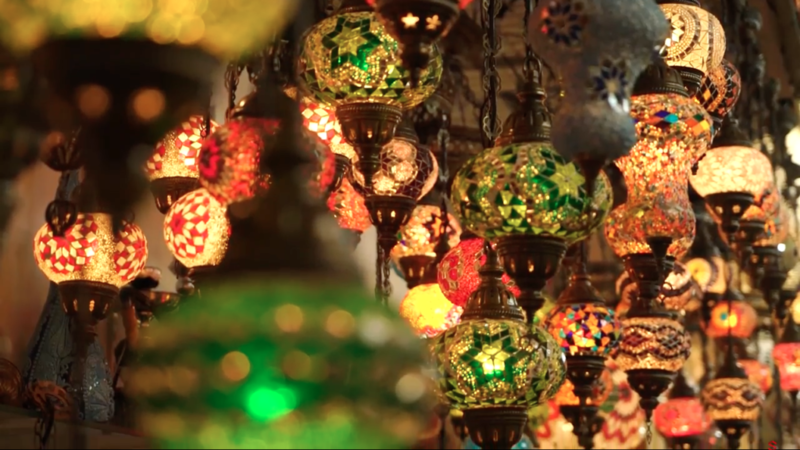 The streets of Kampong Glam is lined with traditional shops, selling beautiful carpets, lamps, and various tchotchkes. Why not pick up a lucky charm, a beautiful souvenir that’ll also bring blessings to your life? Ivy and Jacky tempt you with delicious food from Zam Zam Singapore. If you’re hungry, you’re in luck – there are lots of great eats in Kampong Glam to check out! With a wide variety of cafes, restaurants, and old-school eateries, foodies will be spoiled for choice. Last but not least, a trip to Kampong Glam is not complete without visiting Haji Lane. The narrowest street in Singapore is also the coolest – filled with independent boutiques and hipster cafes. Check out the Instagram-worthy murals along the walls of the shophouses as well! Colourful wall murals along Haji Lane. From cultural learning journeys, to unique shops and delicious treats, Kampong Glam is where you can experience a Different Side of Singapore! Need a vacation? Don’t leave unprepared! Let Wanderlister Ivy show you how to get the most fun out of your travels! Next articleFitness Playground at REACTIV | BrosTalk with Andee C.